Headlines, hot news, and conversation starters on January 27, 2017! 1 It seems "Instagram official" is the new "Facebook official." 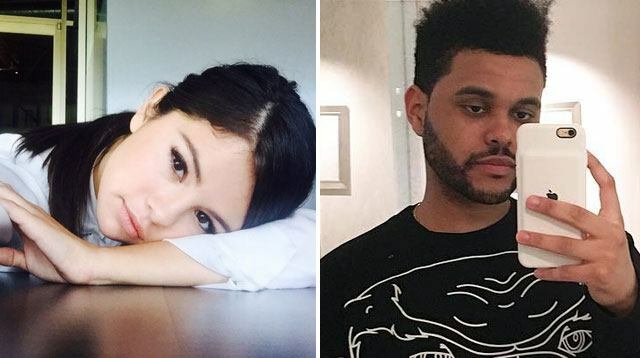 An unfollow on Insta can be seen as the ending of a relationship, so when Selena Gomez and The Weeknd decided to keep tabs on each other, you can bet their followers kept receipts. We wonder what Justin has to say about this! 2 We've been Keeping Up with the Kardashians for 12 seasons now, so we know that the show has a formula: "A beautiful mother who got famous from modeling and a reality show, genetically blessed children, two supermodel sisters, and a brother that gets slightly overshadowed. Also, their dad is an olympian." If that description reminds you of another famous family, then it's because E! News came up with a very convincing side-by-side rundown of the Hadid family—Yolanda, Gigi, Bella, Anwar, and dad Mohamed! We'd totally watch that show—would you? 3 Love is a gift that keeps on giving—and in the case of Kylie Padilla and Aljur Abrenica, the gift came in the form of a sweet birthday message to soon-to-be Mrs. Abrenica. Their love story started way back in 2011, and the two recently got engaged—although apparently that happened way back in November 2016! 4 Taylor Swift gave us a major preview of the "I Don’t Want to Live Forever" music video—and she also revealed its release date! The superstar shared a video on Instagram, channeling Fifty Shades Darker, with Zayn Malik arriving at a mansion on a stormy night. Taylor looks distressed while Zayn breaks a glass in another room. The full music video drops Friday at midnight EST, or 1 p.m. Philippine time! 5 With Miss Universe 2016 coming to an end, don't miss out on part 2 of ETC’s Journey to the Crown: 10 Sunrises in the Philippines. Airing on Saturday, January 28, at 7 p.m., the episode will showcase the highlights of the candidates' travels around the Philippines, and will also look back on Miss Universe 2015 Pia Wurtzbach’s year with the crown. ETC will air a replay of Journey to the Crown: A Celebration of Beauty on January 29 at 6:30 p.m. Parts 1 and 2 of Journey to the Crown: 10 Sunrises in the Philippines will also be replayed on January 26, 1:30 p.m. and January 29, 11:30 a.m., respectively. A post-coronation Miss Universe ETC special, Journey to the Crown: All About U, will be airing on February 4 and 5 at 8 p.m.